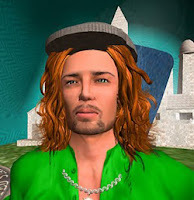 I thought it might be worth noting, that a fair amount of Opensim-Creations is still available via the Wayback Machine (link below). I haven't fully explored it yet but textures, scripts, tutorials and such at least appear there. Frustratingly there are pages also that "haven't been archived", but it still allows one access to some of this marvelous resource! Different snapshot dates may have different stuff available. A big thank you and condolensces to Vanish.